Extraterrestrial gamma-ray astronomy is now a source of a new knowledge in the fields of astrophysics, cosmic-ray physics, and the nature of dark matter. 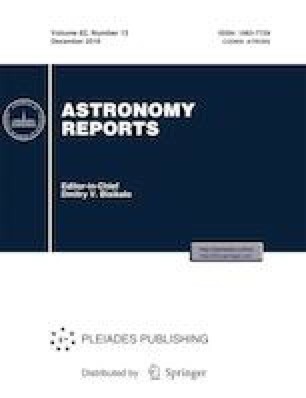 The next absolutely necessary step in the development of extraterrestrial high-energy gamma-ray astronomy is the improvement of the physical and technical characteristics of gamma-ray telescopes, especially their angular and energy resolutions. Such a new generation telescope will be GAMMA-400, currently under development. Together with an X-ray telescope, it will perform precise and detailed observations in the energy range of ~20 MeV to ~10 000 GeV and 3–30 keV the Galactic plane, especially, toward the Galactic Center, Fermi Bubbles, Crab, Cygnus, etc. The GAMMA-400 will operate in the highly elliptic orbit continuously for a long time with the unprecedented angular (~0.01◦ at Eγ = 100 GeV) and energy (~1% at Eγ = 100 GeV) resolutions, exceeding the Fermi-LAT as well as ground-based gamma-ray telescopes by a factor of 5–10. GAMMA-400 will permit resolving gamma rays from annihilation or decay of dark matter particles, identifyingmany discrete sources (many of which are variable), clarifying the structure of extended sources, specifying the data on the diffuse emission, as well as measuring electron + positron fluxes and specifying electron + positron spectrum in the energy range from 1 GeV to 10 000 GeV. Paper presented at the Third Zeldovich meeting, an international conference in honor of Ya.B. Zeldovich held in Minsk, Belarus on April 23–27, 2018. Published by the recommendation of the special editors: S.Ya. Kilin, R. Ruffini, and G.V. Vereshchagin.